Random Family meets Orange Is the New Black in A Little Piece of Light, a memoir of survival, redemption, hope, and sisterhood from a bold new voice on the front lines of the criminal justice reform movement. Like so many women before her and so many women yet to come, Donna Hylton's early life was a nightmare of abuse that left her feeling alone and convinced of her worthlessness. In 1986, she took part in a horrific act and was sentenced to 25 years to life for kidnapping and second-degree murder. It seemed that Donna had reached the end--at age 19, due to her own mistakes and bad choices, her life was over. 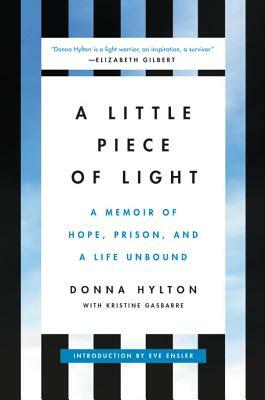 A Little Piece of Light tells the heartfelt, often harrowing tale of Donna's journey back to life as she faced the truth about the crime that locked her away for 27 years...and celebrated the family she found inside prison that ultimately saved her. Behind the bars of Bedford Hills Correctional Facility, alongside this generation's most infamous criminals, Donna learned to fight, then thrive. For the first time in her life, she realized she was not alone in the abuse and misogyny she experienced--and she was also not alone in fighting back. Since her release in 2012, Donna has emerged as a leading advocate for criminal justice reform and women's rights who speaks to politicians, violent abusers, prison officials, victims, and students to tell her story. But it's not her story alone, she is quick to say. She also represents the stories of thousands of women who have been unable to speak for themselves, until now. Donna Hylton is a women's rights activist, criminal justice reform advocate and accomplished public speaker. She helps women who have experienced traumatic events in to overcome their past traumas and transform their lives. Kristine Gasbarre is a celebrity interviewer and a culture and lifestyle contributor to women's print and digital publications. A graduate of John Carroll University in Cleveland and Fordham University in New York City, she holds degrees in psychology and media studies, and she lives in Brooklyn, New York. be transformative for many who read her words.